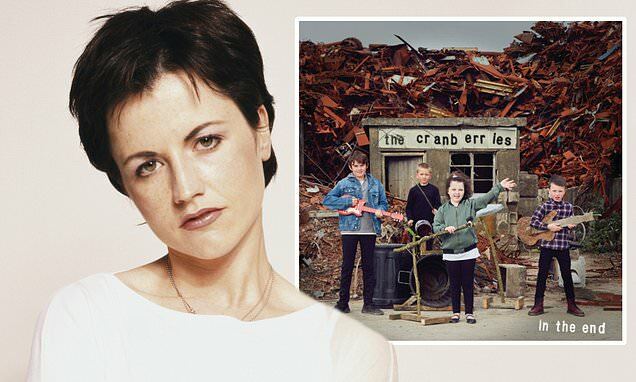 The Cranberries have released the lead single from their last ever album and revealed when the full record will be unveiled - on the one year anniversary of lead singer Dolores O'Riordan's death. The frontwoman - who died on January 15 2018, aged 46 - had recorded her vocals for 11 demo tracks intended to feature on the eighth studio album, during the winter of 2017. Following the singer's untimely death last year, the band eventually announced the album would still go ahead, using the demos as a foundation, and that it would be the Irish group's last ever record. The first single was released on Tuesday and called All Over Now, while the album - titled In The End - will drop on April 26. The Cranberries - who are responsible for hits such as Linger, Dreams, Zombie, Animal Instinct and Just My Imagination - formed in Limerick in 1989 as The Cranberry Saw Us. Dolores is survived in the band by Mike Hogan, Noel Hogan and Fergal Lawler. Seven albums - and 40 million sold - later, the band have insisted that In The End 'is not a valediction, it is a celebration of the life and creative work of Dolores'. He went on to explain the existing members had doubts about releasing the record, and considered shelving it entirely.